You know, I hate it when a book says it will “make you laugh, make you cry.” I love to laugh, but I’m not fond crying. Maybe that’s just me. Of course, I have to admit that when I do get around to reading those books they end up being amongst my favorites. Well, The Christmas Sweater is definitely on that list. I did laugh at the fresh perspective of a 12 year old boy commenting on his own life…and then I did cry (just a little) when that same 12 year old faces trials far too big for a child. Eddie has had a rough year. He’s not afraid to admit it. Life as an only child of hardworking, owners of a small bakery isn’t a piece of cake. In fact, he can’t even get his parents to remember to bring him home fresh bread. Fate has had a way of taking people from his life as of late, too. But after such a hard year he is certain that this is going to be the Christmas he is gets his long coveted Huffy bike. Instead, this is the Christmas Eddie will meet disappoint and tragedy like he never imagined. And he has a feeling that it is all his fault. The book is authored by the sometimes controversial Glenn Beck, but I can assure you this story is not about politics or current issues. The book is actually semi-autobiographical story, full of events and circumstances that actually occurred during Mr. Beck’s childhood, though some events are changed to make the story flow better in novel form. Perhaps that’s why the book seems to have a stronger emotional appeal. When Eddie describes his humiliation in having to sing Christmas carols at a senior home or his disastrous attempt to make his own meals when he is left alone, you know the author is speaking from experience. And when Eddie describes facing the anger, despair, and guilt accompanying lost, you know that is real too. 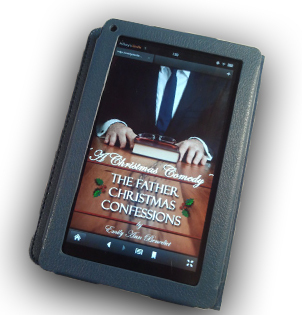 Frankly, I really did find the narration from a child’s point of view fun and easy to read. The final struggle Eddie faces is the hardest of all. Finding God in his tragedy. 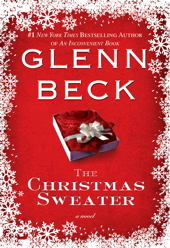 If you want a Christmas novel that is as fun as it is deep, you’ve found your match in The Christmas Sweater. Just don’t make my mistake and read it while sitting in the waiting room of a doctor’s office. That is really the wrong place to tear up. < Previous The Queen of Christmas? Next > Cherish This Christmas – Giveaway! I have heard a lot about this book as I actually listen to Beck’s radio show. So, I remember when he was promoting it when it first came out. I will have to add this to my list to read because it sounds good. Thanks for the recommendation!